Yoga helps in your daily life and circumstances. Be it to reduce stress and anxiety or to promote relaxation, yoga is always there to help. According to the IVF Centre in Delhi, yoga may likewise altogether help to advance origination on a physiological level. It can also improve the self-direction of hormonal awkward nature, increment flow and incitement of both female and male conceptive organs. 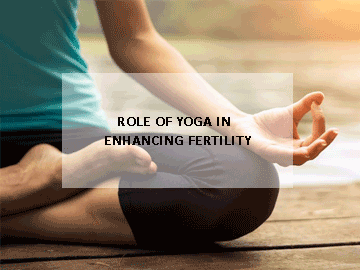 Let’s find out in detail about the fertility benefits of yoga. How Can Yoga Improve Fertility? The chance of conceiving increases by doing Yoga and Pranayama. Yoga can be divided and better understood in three parts. Physical: Different postures of yoga lead to the physical benefits. It helps in breaking down of scar tissue and helps in releasing musculature. Few Physical yoga that you should try: Standing Poses, Hip Opening, Viparita Karani. Physiological: Not only physical yoga is meant for improving your fertility. Even regular practice of Physiological yoga can help you come out of stress and pressure and live life to the fullest. This Physiological yoga puts a good impact on your nervous and endocrine system too. Few Physiological yoga that you should try: Chest openers and Twists, Sarvangasana, Restoratives. Emotional: Fertility yoga removes the fear one can face at the time of conceiving. It reduces your stress and makes you calm under different situations. Few Emotional yoga that you should try: Yoga Nidra, Bhamari breath, Meditation. Strengthens the Endocrine System: Your body Endocrine System plays a very important role in your fertility. It helps in maintaining your hormonal balance. Doing proper and regular yoga can help in strengthening your Endocrine System. Reduces Stress: Stress is the major reason for infertility and doing yoga can help you come out of stress and enjoy your life. Encourages a more positive mindset: Yoga helps in keeping negative thoughts away from you. It is a great source to bring n yourself a positive mindset. More blood flow to the reproductive organs: Increase blood flow to the reproductive organs can increase the chance of better fertilization. More the flow of blood more is the supply of oxygen. 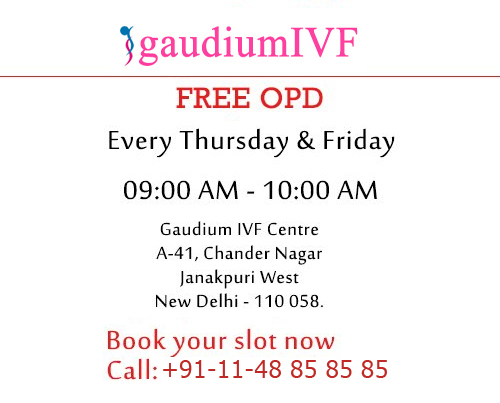 Contact Gaudium IVF Centre today, a one stop destination for all sorts of male and female infertility treatments in Delhi.